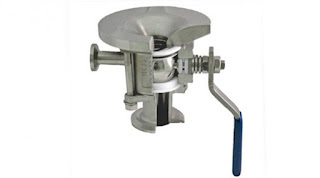 PBM Valve Solutions manufactures a special ball valve adaptation that functions as a drain valve, or bottom valve, on sanitary process tanks. This is just one of many specialties from the company that provide the perfect solution for targeted application challenges in fluid processing. The IGENIX® two-way valve has a formed inlet pad that facilitiates drainage and minimizes the pocket area above the ball. The full size port and several other features accommodate the needs of sanitary process operations. More information is provided in the cutsheet included below. Share your fluid process challenges with the specialists at CTi Controltech, leveraging your own knowledge and experience with their product application expertise to develop an effective solution.